Just like the World Cup, competition is fierce between manufacturers, but with paperless manufacturing you’ll discover the competitive edge that will make you a winner in 2015. Even with all the scandal surrounding the FIFA 2015 Women’s World Cup, people are still excited for some amazing games. Who wouldn’t be? With 24 teams representing their countries in Canada, the roar of the crowds, the skills of the players, and of course the ultimate thrill of winning the coveted 2015 World Cup, this year looks to be a classic. What a lot of fanatic soccer fans don’t realize is the amount of complex manufacturing that goes into the World Cup Tournament. From the $160 balls used every game, to the shoes, the uniforms, the goalie gloves, the shin guards, coaching gear, and all other equipment and accessories. Yep, all manufactured. Consider the complex electronics used to broadcast and record the games, to the cars, trucks, buses, boats and planes used to ship the teams and crowds to each venue. It’s a veritable case study of the importance of manufacturing. Being a supplier of the World Cup requires world class manufacturing. Does your shop floor have what it takes to produce world class products? Not a soccer ball manufacturer? Not a problem. Just like other manufacturing companies, soccer balls go through many of the same processes on the shop floor, cutting, stitching, heating, molding, final assembly, and quality checks. The first step in achieving world class manufacturing is controlling the flow of manufacturing information. Succeed there, and you’ll decrease errors and increase production and profits. World class manufacturers also control shop floor processes, otherwise you’ll never have the rigor and discipline necessary to compete. An MES provides this rigor, and becomes the platform on which your manufacturing is based. In addition to virtually eliminating paper on the shop floor, a good system will keep comprehensive records of all operations performed, giving you the data for analytics used for process improvement. Adaptability – Easy to add, change or enhance functionality to meet changing needs. System Connectivity – The seamless flow of information from MES to your current enterprise systems; including the ERP, PLM, Quality Management, and more. Elimination of Errors – A checks and balance system ensuring all operators are using current work instructions, as well as built-in and automated tolerance checking to ensure product quality. Real Time Production View – Tracking each order as it moves along your shop floor, allowing you to report to customers and quickly resolve issues. Dynamic Work Instructions – Electronic work instructions offering strict revision control that can be migrated over from current systems or built directly in the MES system. Procedural Enforcement – Ensures data collections, safety reviews, quality checks and more are completed prior to moving work forward, safeguarding against errors. The right MES system will offer you the tools and platform for world class manufacturing for the right price. It should automate many of the processes and tasks that hold your shop floor back, so you can manufacture the world class products your customers expect. If you are losing valuable time and money, take a look at how your shop floor operates. Chances are you need a game changer – a change that could make you the goal scoring winner. If you are interested in learning more about MES and how it can benefit your shop floor contact us today. We are happy to help and look forward to speaking with you. 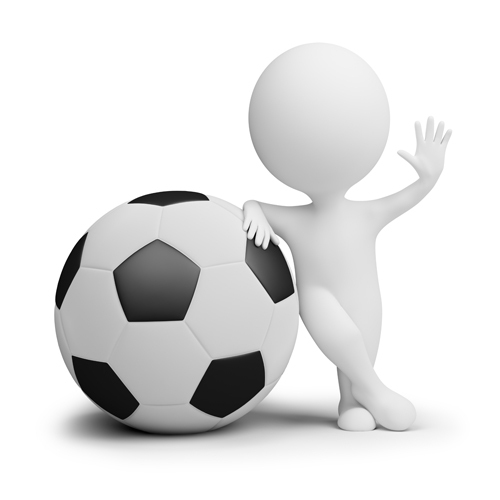 This entry was posted in Manufacturing Execution Systems, MES, Paperless Manufacturing and tagged manufacturing, Soccer, World Cup on June 4, 2015 by Ed Deaton.